Hurricane Ridge is a short drive from Sequim to Port Angeles and then 17 miles up into the Olympic National Park. This is part of almost a million acres of National Park lands in the Olympics west of Seattle. You could say this is a national treasure. I enjoyed a hike on the trails of Hurricane Ridge this beautiful sunny Labor Day weekend, and I thought you might enjoy the photos. Hurricane Ridge from Many Angles. The drive up to Hurricane Ridge is a very pleasant drive, and if you’ve ever driven up to a ski hill, then you can imagine what this drive is like, only without the snow this time of year. There’s a lot to see, and when I first arrived at the top, I found myself just starring at the mountains and breathing in the fresh mountain air. A lot of other people were caught in the same trance, and I saw tourists from all over the world, and almost everyone had a camera in their hands. I strongly recommend Hurricane Ridge as one of your little tours while your here. The Olympic Peninsula is an incredible place to live surrounded by the Strait of Juan de Fuca and the Pacific Ocean, and we have the Olympic National Park with old growth trees, the rain forest, and stunning beaches where couples walk hand-in-hand. Sounds like Heaven, doesn’t it? It is. A pleasant drive around the Olympic Peninsula is a wonderful way to spend an afternoon or a Saturday or Sunday. Most of the rain forests around the world are in warm, tropical areas, and they are typically dominated by evergreen trees that are flowering plants. But on the Olympic Peninsula you find conifers. The trees are evergreen rather than deciduous (they don’t lose all of their leaves at the same time each year). The Olympic rain forest has abundant epiphytes (plants that live on other plants). Our rainforests are well developed in the valleys of the Bogachiel, Hoh, Queets, and Quinault Rivers. Driving west of Port Angeles, you’ll have opportunities galore to take in the beauty of nature, walk along the beaches, and don’t forget to bring your camera. The photo above was taken by Dan Grove. What a fantastic photo Dan! 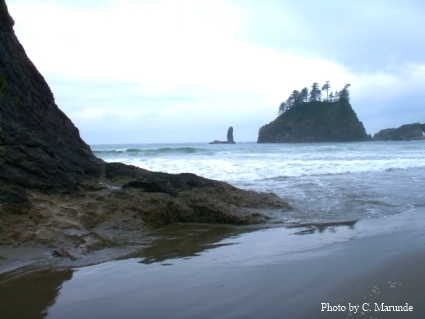 The Olympic National Park can be divided into three basic regions: the Pacific coastline, the Olympic Mountains, and the temperate rainforest. You can spend all the time you want in each of these regions. The Olympic Mountains have hiking trails that run as many miles into the mountains as you can hike, and there are some camping areas (walk-in only). The Olympic Peninsula coastline is full of cliffs that tower 100 and 200 feet above the water, as well as beaches that gently slope into the ocean and create a stunning environment for anyone who loves nature and beauty. So why aren’t you here? This is an incredible time of year to walk our beaches. Come and see the beauty and peace of the great Olympic Peninsula for yourself. If you’re planning to drive around the Olympic Peninsula from Sequim west through Port Angeles and out toward Forks, you can plan your trip with the help of a very powerful online resource that Google offers. I use this all the time. There are so many places to see, and as they say, so little time. 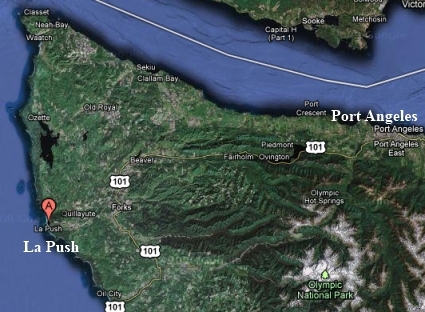 One of the best ways to plan your trip is to pull up Google maps on your computer, and type in either Port Angeles or Forks, and then zoom out so you can see more of the Peninsula. Then in your Google maps options, go to the “More” button and check some of the boxes available. This will make videos and Wikipedia descriptions and other services show up on your Google map instantly showing you videos, photos, and descriptions of key places around the Olympic Peninsula. It’s really cool. La Push Beach is a nice place to hike to and picnic, if it isn’t raining. And, I guess this goes without saying since the movie Twilight was made out there, watch out for vampires! 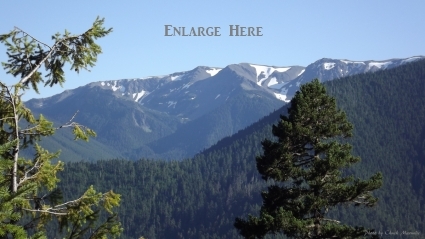 The photo was taken by Chuck Marunde high up in the Olympic National Park in old growth forests. La Push beach is a gorgeous stretch of beach on the west shore of the Olympic Peninsula, approximately an hour’s drive from Port Angeles and an hour and a half from Sequim. This is allegedly the beach that was filmed in the famous movie Twilight starring the now famous Kristen Stewart and Robert Pattinson. 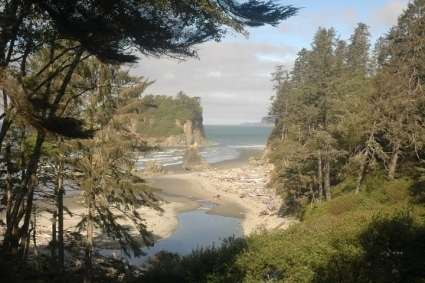 La Push beach is at the mouth of the Quillayute River and surrounded by the Olympic National forests. If you are a photographer, you’ll love the photo opps in the forests, especially when the sun beams are breaking through the thick mossy branches of old growth trees. La Push is inhabited nearly entirely by the descendants of the ancient Quileute Indian tribe, which is reported to have resided in this part of Washington for thousands of years. The area is well-known for its ocean fishing, and has seen a revival in the past few years. Fish include Coho, Chinook and Silver Salmon, as well as Halibut and Cod. I took this photo on La Push beach on a typical hazy day. The further you get around the Olympic Peninsula toward the city of Forks, the less sunshine and more rain you will see. Still it is beautiful, and a great weekend drive. A part of the Peninsula includes The Flattery Rocks National Wildlife Refuge, which is more than 100 miles long and is home to millions of birds during migration. You can see why those of us who live in Sequim or Port Angeles love the quality of life here. There is so much to see and do. Sequim is green and beautiful. I can personally testify to how green and how beautiful. 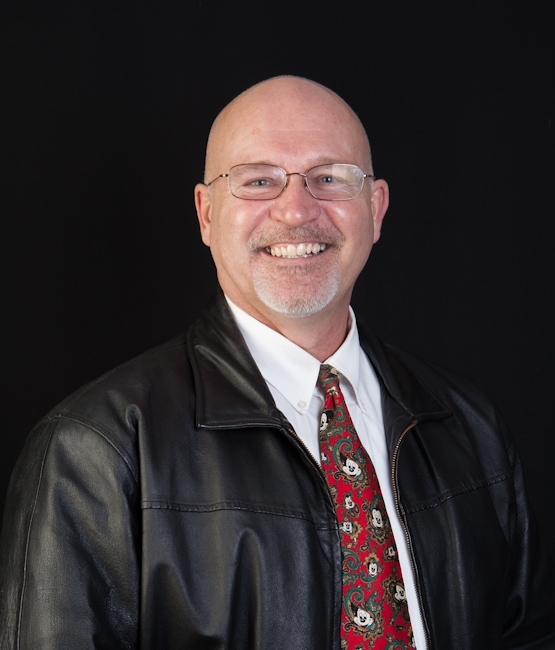 I served in the USAF as a JAG at Nellis AFB on the North end of Las Vegas during the Kuwait war. 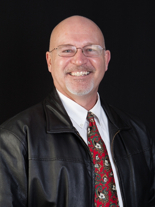 I enjoyed my five years in Nevada. It was a great experience, and my body acclimated to the desert heat. The desert has a certain beauty, especially right after it rains, but the desert is also a pretty barren place. You get used to bland colors, varying hues of sand colors and rock colors. Still I loved it, and I enjoyed jogging through the desert daily. I love getting out in nature and seeing its beauty. 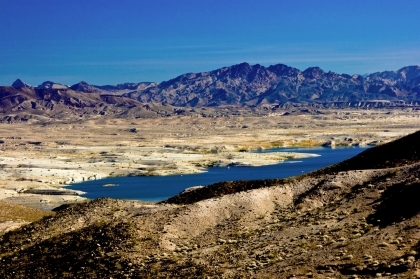 Rick Crimmel caught the essence of the Nevada desert in this photo taken out in the Lake Mead area. I took my three boys to Lake Mead almost every hot weekend. 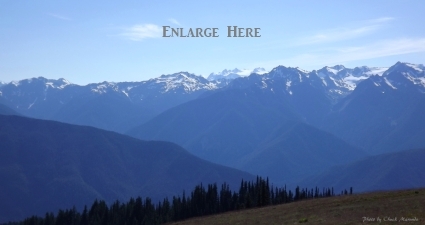 And our contrast is this photo taken by yours truly from deep within the Olympic National Park. The Sequim and Port Angeles areas are so green. The first time I drove my family to Sequim from Vegas, pulling a trailer with everything we owned in 1994, I found myself saying repeatedly out loud, “Wow, look at those big green trees! Aren’t they beautiful!” Having lived in the desert for five years and coming back to the Northwest was a wonderful experience for me, and that was never so pronounced as when I saw how green it is in the Sequim area. In 1994 my three boys were still young. My oldest, Jesse, was in Junior High, and Bristol and Brady were in elementary school. My decision to move here was motivated by the need to get my sons out of gang infested schools in Vegas and finish raising my boys in a safe community. We found that community in Sequim. My daughter, Sabrina, was born with the assistance of a midwife in Sequim in a 100 year old farm house adjacent to the Olympic Game Farm. She is 13 years old now. All of my children thrived here. I’m thriving here, too. 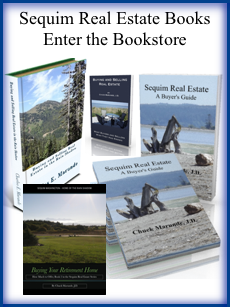 Sequim is not only a beautiful place, it is a great place to live. It was Saturday morning, and being Mr. Spontaneous (not! 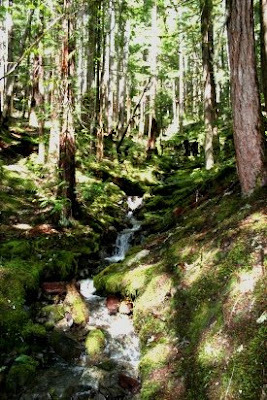 ), I decided to take a hike up the trails of the National Olympic Park just a few miles west of Port Angeles, Washington. The sun was already climbing above the tall pine trees when I parked at the base of the trail, which is about six miles into the Park up a winding narrow dirt road. Having grown up in Alaska and spent my childhood running around in the woods in the bush community of Tok, and spending a great deal of time in the mountains of the great Alaska Range, I’m at home in the woods and mountains. I miss watching wildlife with my father’s binoculars while perched high in the pinnacles of a mountainside. I still remember in one sitting seeing 13 bears (grizzly and black), two moose, a caribou, a small group of Dall sheep and several lambs with a wolverine lurking in the shrubs nearby. This was near the Tok Glacier, and it was 40 years ago. Even then I felt the power of nature all around me. There’s a quiet voice in nature that somehow speaks to us. It’s the same message everywhere in the wilds, in the mountains of Alaska, Nevada, or Washington, in the dense old growth forests, or on a 32 foot fishing boat on Bristol Bay. (I named my middle son Bristol.) I hear the message when I dismiss all the noice and clutter of the world. My hike into the Olympic National Park brought back a flood of memories from my childhood experience in Alaska. Crossing creeks and balancing with my arms out as I worked across the fallen trees made me feel like a kid again. The great big trees that are as straight and tall as any I’ve ever seen blocked most of the sunshine from reaching the moss covered vegetation below. Still there were beams of light breaking through and creating a portrait I only wish I could capture and share with the world. These photos are my humble attempt to capture a vignette of something much greater. This far into the mountains I cross the Elwha River on a walking bridge before the Elwha grows big and powerful. In a few places it crashes and churns as the elevation drops dramatically. There’s nothing as thrilling as standing in the presence of a mighty ancient forest high in the mountains with the thunderous applause of a river beginning its long journey to the ocean. Is it any wonder that I love living on the Northern Olympic Peninsula? 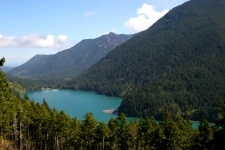 The Olympic National Park is near Port Angeles, and has beautiful hiking trails. This is a photo I took many miles in the mountains. It was serene and a peace of heaven. If you love nature, if you love hiking, if you love the outdoors, you’ll love the Olympic National Park. 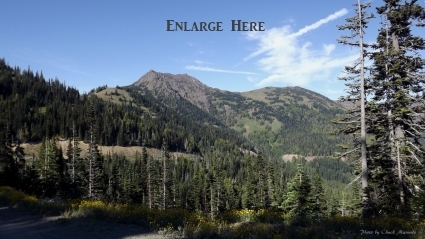 Did you know that the Olympic National Park protects the largest unmanaged herd of Roosevelt elk in the world? Want to see more? Go to Olympic National Park photos and hiking trails. The Olympic National Park is incredible, if you love nature, the outdoors, stunning scenary, photo opps, hiking, jogging, biking, steep trails, rivers, lakes, and serenity. The park is a hop and a skip outside of Port Angeles, Washington. If you are within driving range, you’ve got to get out here. Check out the TRAIL CONDITIONS, or check out the Park Main Website. 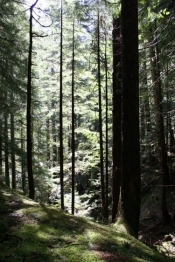 This photo is one I took of some old growth trees far up a mountain trail. I love this stuff!